From $99 - thorough clean, no mess left behind. 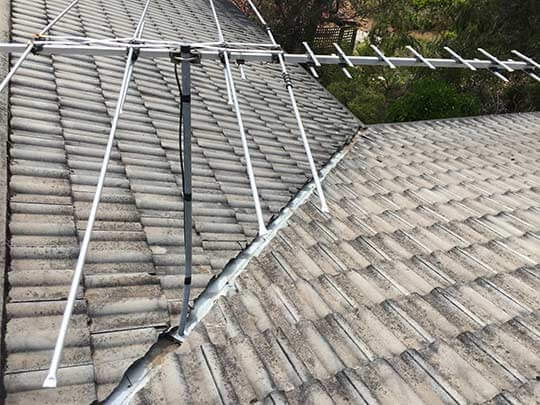 Perth Gardens offers affordable and effective gutter cleaning to help you keep your home safe from fire in the summer and safe from leaks in the winter. Just fill-in the form below to get an instant estimate. A firm quote will be emailed or texted to you soon after - once we've reviewed your address details on Google Maps. Regular cleaning & checking of your gutters is an essential component of your home maintnenace. 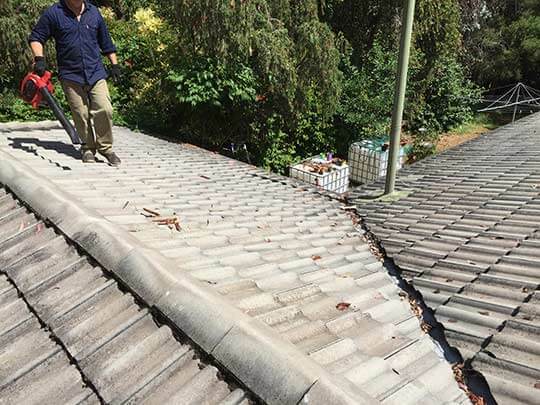 Perth Gardens can maintain your gutters while taking care of other important outdoor maintenance tasks in your garden such as clearing away leaf & tree debris..
First, we do our best to avoid spreading debris around by collecting it into bags. Then, we make sure to tidy up the paths and garden area too â€“ leaving your property neater than when we arrived! 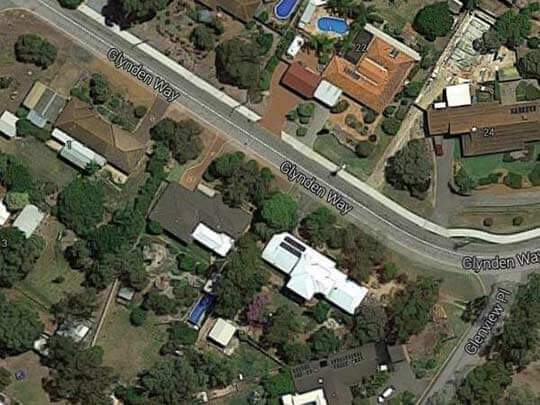 In most cases, when you provide the address of the job, we can check it using Google 'Satellite' and 'Street View'. Clean gutters ensure that rain water can flow in a controlled way through the drainage system. "42% of homes have roofing problems." - An Australian pre-purchase inspection report. Since the consequences of leaking, overflowing gutters can be so awful, it makes sense to prevent this in the first place. That's why keeping your gutters cleaned regularly provides peace of mind. Perth Gardens came on time, worked efficiently & left the area clean and tidy. Am going to use again for work in the garden and would recommend this team without hesitation. Very pleased with both the work done and the price charged. Great job - thanks! I wasn't actually here when they cleaned my gutters but they contacted me at all the right times and I can say they were courteous, friendly and punctual. They even sent me photos of the job after it was done. I'm impressed! Just wanted to say thanks again for your services. Glad I listened to my neighbour and decided to switch to Perth Gardens. You guys did a much better job than my usual gutter cleaner and no mess. Will be recommending you for sure. Our Ten million dollar Public Liability insurance policy through SGIO protects you in the case of any major incidents. In addition to this we offer a $500 quick resolution fund. 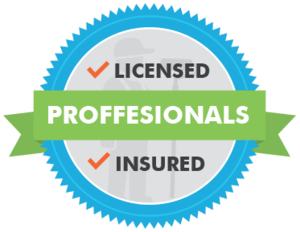 Our workers are protected by Workcover insurance, and are trained to work at heights safely. 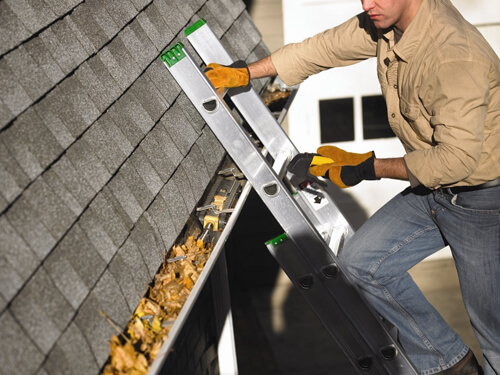 In a nutshell, you can be assured that your gutters will be cleaned safely with expert efficiency.